AMERICA'S Best SOURCE to BUY VENISON MEATS! Ranch-based means savings for you. Try Venison, the lower fat solution! Great values on gourmet meats for 14 years. America's Largest Venison sales & Buffalo Meat Retailer! 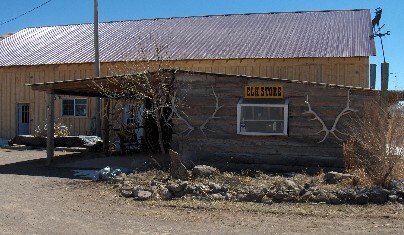 Ranch-based, family-owned and operated. Our Freezers are at about -15 degrees F.
Welcome to Venison USA, a unit of ElkUSA.com, America's largest Venison meat retailer. We located in southwestern Colorado about 125 miles east of Durango at some 8000 feet in elevation. We are literally surrounded by 10 to 12,000 foot peaks and have innumerable recreational opportunities and an abundance of wild game. Our mountain valley along the headwaters of the Rio Grande River is a major draw for tourism and hunting. 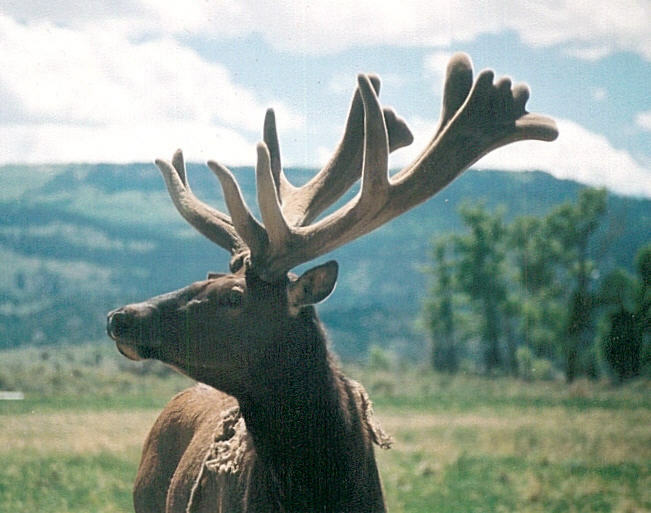 Elk and mule deer are our most abundant nearby wild species, while elk and caribou are inside the farm fences We love these mountains and are blessed to be able to raise and share our industry's prime venison bounty with you. We source our game meat animals from dozens of states, from Idaho to Arizona on the west, and from Tennessee to Pennsylvania in the east. For special cuts, inspected Canadian or New Zealand venison is sometimes used. We maintain working relationships with some 16 USDA or State-inspected meat plants across the US, so as to get fully inspected, safe and wholesome venison products at all times of the year. First and foremost, please remember that all our venison deer meat is derived from farm animals raised in unique, special farm environments that promote sustainability and an all-natural, wholesome venison character. Nothing is shot in the wild. From hundreds of game ranches we regularly stock elk venison, fallow venison, red deer venison and the newly popular, whitetail venison. Most exotic game meats and particularly venison, are very low in fat and cholesterol compared to beef. Further, farmed venison animals are not treated with growth hormones ,steriods, nor chemicals. The following information is derived from Outdoor Life, August 1992, which had an excellent article written by Kathy Etling entitled "The Wild Diet". The following chart showing how deer meat venison compares with tother meats, is derived from that article, the data of which was sourced from North Dakota State University and the USDA. *100 grams equals about 3 1/2 ounces. ** Not trimmed of fat before analysis. A search of the Web will find that Venison USA is by far the nation's value leader in Elk meat (or Elk Venison), Buffalo meat, Goat Meat, seafood, as well as, the several species of Deer meat, or domestic venison. Importantly, Venison USA is currently (Nov, 2011) the nation's sole national source of Whitetail Venison via the Internet. We sell only the highest-quality venison steaks, jerky, roasts, venison stew meat and burgers, all made of delicious, lean & wholesome venison deer meat. Low-fat taste treats you will not forget. Venison is a fine grained, delicately textured game meat and is virtually fat-free. 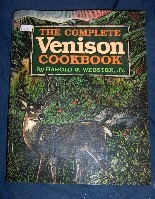 Many of the venison deer meat cuts cook similarly to veal. The low-fat nature of venison means that over cooking is taboo. Slow cooking, keeping your deer venison steak rare to medium, plus adding extra moisture results in a deer steak that cant be beat for flavor and healthfulness. BEWARE: Hot, fast frying of any venison cut is a recipe for tasteless shoe leather. Unlike fatty beef, dry roasting venison will yield one dry roast with no flavor and worse palatability. And don't forget about your pets, we even have irresistible venison meat and organ dog food products such as Elk Dog's Breakfast, and our specialty, a dog's Deer Buffet made from Red Deer, Whitetail or even Fallow venison on occasion. Most dogs will find our products deer-ilious, and its good for them too, especially if you follow a wild diet for your dog! Basically We offer our fully-inspected venison for sale as flash frozen products to restaurants, retail stores and the public via our ranch-based meat store, and throughout the USA via the internet...nationwide! Our venison meat products include: frozen meats, sausages, bratwurst or our famous venison jerkys: like elk Jerky or whitetail venison slabs ..... lots of ways to eat lean and heart-healthy. We replenish our stocks of natural game meats at regular intervals insuring a recently flash frozen, delicious product every time. Our venison is derived from grass-fed animals with never a hint of steroids or animal by-products. The lean and flavorful nature of all-natural deer Venison comes through with all our meat products, without that gamey taste that can ruin wild meat. So, give us a call for that Venison steak you crave. We have most items in stock all year long. IMPORTANT NOTICE: When buying venison you are purchasing fully State-inspected or USDA meat here in Colorado where farmed venison sales are legal. We then ship that product to you via UPS at your direction. The customer is responsible for their own state's laws in regards to buying or consuming farmed venison. 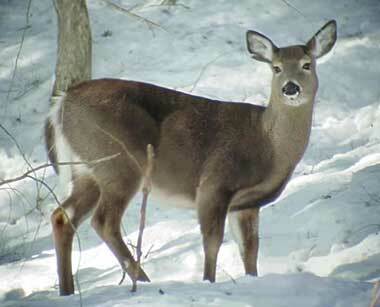 FYI: VENISON or DEER MEAT are just alternate names for the same product, the meat of various deer species. 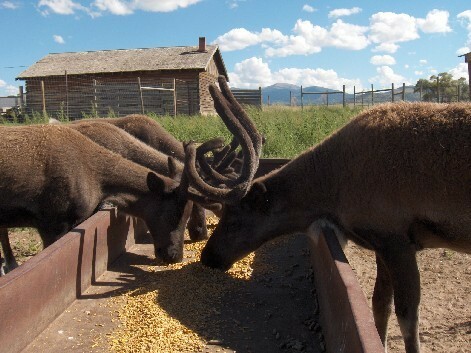 Since elk is a deer species, Elk is Venison too! Venison or Deer Meat is America's truly original red meat!